I want to evaluate the job qualifications of the person in charge of “listening to every batch of metal conductors” to determine the directionality of that batch. Are there really people that believe this stuff…let alone purchase their products? 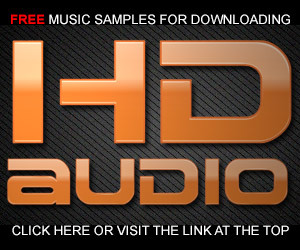 It seems AudioQuest is in the business of selling snake oil to audiophiles. You’ve been warned. And there’s the article about the sonic differences between Networked Audio Servers. The article is titled, “Listening To Storage…Listening tests reveal significant sound quality differences between various digital music storage technologies,” by Andrew Harrison and Stephen N. Harris. These guys are hearing differences between a stream of digital ones and zeros coming from one NAS and a different unit. I admit I’ve never done this sort of listening test but I have auditioned my tracks in my studio from Nuendo, Blu-ray discs, Pro Tools, a RAID, and USB stick and never noticed any differences in the storage medium OR the digital cables carrying the signals around the studio. I think we’ll get better results looking into ways to avoid heavy handed mastering than worrying about the “sound” of hard drives. 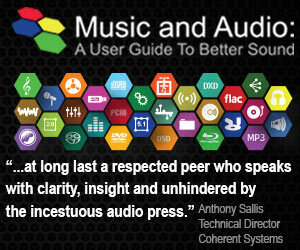 I’ll say that Audioquest receives regular write-ups by Stereophile, and leave it at that. 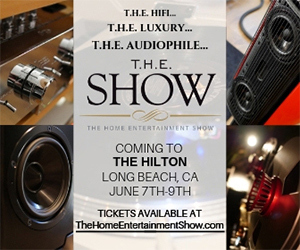 Actually, one more thing…Stereophile writer, Stephen Mejias, wrote several positive reviews of their products, and was soon hired on to be their VP of Communications. does that mean that audioquests DRAGONFLY portable DAC shal be treated as snake oil also? when I listen to music on my Laptop/(Windows with JRiver media Server) and push the stream via USB to the DAC, then ATH M50 headphones, it sounds really good, definitely better than just via the standard audio out. No, I think the Dragonfly DAC and many of AQ’s cables do a good job. But I personally won’t buy anything from a company that promotes “snake oil” or audiophile accessories that are clearly BS. There are high-resolution record labels that put testimonials on their sites for disc treatments that do nothing. Where’s the integrity? Hi Mark,at least one can observe that many aspects of today’s audio/music scene bug you, not just one.One of the principal tenets of fine audio component design, at least in the minds of many audio folks and manufacturers,is the nature and length of the signal path.It’s comforting to know the nature of one’s music wellspring, and generally shorter is better has been the rallying cry re:signal path length. Home networks strung with miles of cheap, blue Ethernet; is this a good thing? To totally invite a sneer, let me say that I do not sell AQ cables, but the entire AQ crew including Bill Low came by here a couple of months ago and simply left a whole bunch of cables. One of them is a high-end CAT-6e; I don’t know the price. We have quite a network in our company facility since networking is one of the principal foundations of custom installation today. I have ethernet ports at several stereo system stations, including our best reference-grade setup. After the AQ visit, I mentioned to the company owner and network genius the high-end CAT 6e. He , like you, did more than scoff at the idea.Well, I have now compared a piece of regular ethernet feeding a high-performance network player w/ hi-res material to the ‘audiophile’ item they left. Personally, I have no vested interest, but both myself and another critical listener here hear a significant difference. You can dump on ‘philes’ all you want, but once I’ve heard something in a normal listening context, not some abnormal testing protocol,(blind, ABX, etc.,) I’ll bet anyone my house on the perceived character of sound. After all these years, I still have my house. I was surprised too Mark, but for a very experienced listener, hearing is believing. Craig, you’re welcome to spend $10,000 on an Ethernet cable or half of that or $100. I’ll wait till I can compare the digital information coming out of the ends of the regular stuff and the high end stuff. I did this for a $3K power cord and nothing changed in the digital stream. I have no issues with people that can hear differences between Ethernet cables. My main argument is why? Why would an Ethernet cable change the sound of a given system? The companies behind these cables (in this case, AudioQuest) refuse to submit any logical and scientific information. What makes one Etehrnet cable better than the other? How do you control “Soundstage” and “Depth” of the musical presentation through an Ethernet cable? many questions but no answers…. There is no way…other than the ridiculous claims by the companies making the cables. All you have to do is compare the digital bits coming out of one cable to another….if they are the same, then the sound will be the same. Craig I call horse****. If you say you can tell the difference between a 10 dollar cable and a thousand dollar cable you should be able to show a side by side comparison of the data stream to show where the 10 dollar cable is different. Show me. It won’t happen because you are looking at packets of encoded digital information not an audio stream. Pure and utter horse****. Scot, I’m with on your comment but please keep thing civil. What you are hearing Craig, is the placebo effect. You spent A LOT of money on a hunk of wire… therefore it sounds better than the hunk of twisted pair I made up with my crimping tool from Radio Shack. You ‘zero’s’ are not rounder. You ‘ones’ are not pointier. It is literally the same file. That is the whole point of going digital. Scot, thanks. I’m feelin’ your frustration. I”m with Scot! About time Craig was banned, all he does here is troll. I’m OK with Craig participating and offering his point of view…he offers another side to some of the topics under discussion. He’s always been respectful and polite. He’s a professional in the business. I can disagree with him and still feel he contributes to the site. I have one thing to say: Placebo effect. 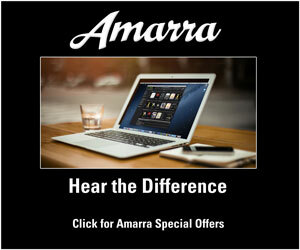 Only in audio are blind or A/B/X testing considered ‘abnormal’ testing criteria. In every other field of scientific endeavor they are considered essential. It is easy to tell which is which when you already know. When you are willing to ‘bet the house’ on a test where you don’t know the answer, I’ll be impressed. I so appreciate all the input, up, down or sideways.I am a middle class, non-affluent individual with decades of experience from one end of the music chain to the other, playing, recording, listening, all parameters.And I hang out plenty w/ audio measurement experts who also greatly value what I hear. Painting these asinine pictures of a wealthy, deaf, self-deluded tweak must be fun, but I don’t fit the description. I’ll bet that even Mark would say that when all the measuring and testing is done in this business, recording or listening, a professional learns to trust their ears. I trust mine. I do not suffer from any of the well-known barriers to accurate audio perception, and have learned to factor in all variables in critical listening circumstances. It takes lots of time and lots of listening, which is not the same as simply spending money for the fun of it, something I have never been able to do, nor will I. Anyone who wonders about my professional credibility is welcome to stop by Lavish Hi-Fi and hear what level of sound quality is evident, or hear my own live to the two-track master tape (Ampex ATR-100, 1/2″ @30ips) recordings. I have no lack of confidence. Last but not least, the audiophile tweak thing, which has valid areas and non-valid areas, has been going on for quite a long time as we went from 16-60 years old. So, on an enormous, mass scale all this time, intelligent, perceptive , music-loving people have been deliberately,repeatedly fooling themselves because they like to waste money? Talk about deluded by cynicism and negativity. I can understand that many simply do not have enough time in the audio trenches to feel confident of what they hear. I do, thank you. Carig, you can buy into the nonsense on digital cables…and especially “one directional” Ethernet cables for $10K but the science is not on your side…and frankly neither is a simple listening test. Bill Low and AQ are clearly not alone in promoting hugely expensive snake oil but they’ve make themselves a target with this ridiculous example. His reasoning is delusional. I would be happy to host him with his cables at my shop and have him pick his $10K cable over a good but cheap Ethernet cable. Neither he nor you or anyone else would be able to accomplish the task. All this talk about “perceptions” over science is just cover. I personally find it troubling to hear companies pitch this sort of thing. It may hurt nobody by the person shelling out the dollars, but in reality it lessens the work of those of us that really do want to improve audio fidelity. This is not about what you “think” you hear. To revive a thread just a bit. I recently ordered the WireWorld Starlight CAT 8. Three meter @ $330. Audio$tream compared it to some AQ cables with differences being noted. What I did was spooloff 315 foot of Berk-Tek CAT5e and terminate, setup a LAG on a Cisco switch, and using JRiver able start a track and swap out the cable without interrupting playback. Cabling swapped several times. Good luck on when the swaps occur. No difference in ping rate to a local host with either cable. Both under 1ms averaged. No difference in transfer rate. Going PC PC and bypassing the switch both cables hit a sustained average of 107MB / secon with a 3.57 GB folder. No errors recorded on the network switch with either cable. I believe you would fail if I were to introduce this switch and generic CAT5 to your setup. While I would never call myself an expert with audio. I do call myself a bit of a pseudo audiophile. But I am an engineer. To understand the working fundamentals of an ethernet network would very quickly eliminate any discussion of this sort. Oversampling restores impulse response . Impulse response is the only why 96 kHz might sound better than 44.1 kHz . Essentially, CD is already HD. Do not fool others, prepare yourself to Extreme Oversampling ! Thank you… I didn’t know the actual numbers, thank you for the assist. More absurd crap, I’ve never heard….. I had to check my calendar to make sure it’s not April Fools Day. All I can say is these people must have large brass attachments to make such absurd claims with a straight face. Anybody wealthy enough and ignorant enough to buy into this malarkey deserves what they get. Audioquest and similar will have their customers. These type of discussions have been going on for so long that I just say Let the sucker get suckered. Speakers costing as much as a house. $50,000 turntables. If people want to buy those things, let them. Laugh if you will; perhaps we’re not even talking about the same thing, but there are some differences that I hear in digital delivery whose cause I cannot begin to guess. Yesterday I wondered how my relatively youthful OPPO 981HD would compare to my very old Yamaha DVD S540 when each delivered its signal via coaxial cable to the internal DAC of my Sprout receiver, played through small Paradigm speakers. Surprisingly there was quite a difference, and I assume that the same 0’s and 1’s were delivered from each player. I understand there can be some timing differences in the delivery of those 0’s and 1’s, and perhaps that would explain the differences I heard. Maybe Audioquest is resorting to snake oil tactics, and certainly I question the value of some high priced wires and other components. But, it was not that long ago when any differences heard through analog cabling was regarded by most engineers as pure poppycock; you know, if the wire measured the same it sounded the same (to the extent that wire makes sound). What I question is whether any cable, no matter how well made, delivers a “perfect” signal from one component to the next. Is that even possible?!! Analog and digital cables are very different animals. At short distances, a $.75 cable can pass as much information as a $100 digital cable. It’s always been quite obvious AudioQuest is in the snake oil business. I remember a professor of mine poking fun at claims of directionality in cables back when I was in engineering school 20 years ago, so this is not a new delusion. Cables serve a valuable purpose, however – they are a litmus test. Any publication or blog that comments glowingly on expensive cables can safely categorized as unethical shills and ignored altogether (except for entertainment value). Yes, that means most of the dead-tree HiFi magazines like Stereophile or TAS, or popular blogs like 6Moons. Now, there is something to be said about the flimsiness and annoyance factor of most snaggy Ethernet RJ-45 connectors. Most patch cables sold as Cat6 don’t even pass Cat5 certification, let alone Cat5e or Cat6, so there is a place for reliable suppliers like Blue Jeans Cable or cable companies that cater to data centers and the like. All cables have a sonic signature but whether you can justify the price is probably up to the individual. Lots of guys are raving about the USB wire that connects your server to DAC. Interesting, lots rate the USB by Lightspeed Harmonic as the best at $1000 US for 1 metre. Benchmark suggest you are wasting your money and use the supplied $2 but gold plated USB. Ludicrous as it seems, some very reputable reviewers descibe the Lightspeed in terms that if you dare to try it, you will not be sending it back, its such an astounding upgrade. Perhaps all analog cables have a “sonic signature” but digital cables better not or they’re not doing their job. The $1000 USB is unable to deliver any additional digital information that a reliable less expensive cable. I’ve done the comparison and the bits zero out. You’re wasting you money. If I’m using wifi (which, let’s remember is packet driven just like Ethernet) to download or listen to music, what sonic signature would this have? Hmmmm, that gives us an idea about our next product. Audiophile ether conditioners to condition the medium through which audiophile wifi travels thus providing effortless sound and the best sonic signature. Promise it will be strictly unidirectional. I’ve come up with my own standard for audio interconnects, and it seems to serve me well, at a cost that I can afford without having to skip dinner. A few years ago, I bought a 500′ roll of s-video cable and about 50 pairs of gold-plated RCA connectors and a handful of gold-plated (pins) XLR connectors. I was taught how to solder at Hughes Aircraft Company back in the early 1970s, and I got lots of practice there and afterwards, so I solder the connectors myself. The s-video cable is intended to pass 5MHz or so, and the gold connector pins don’t corrode. On the rare instance where my amp is not in the same box as my speaker, I use 14 gauge zip cord and tin the ends. I doubt if anyone could truthfully tell the difference between my cables and those with commas in their price tags. And that BS about Ethernet cables and connections is just that – BS. I make most of those myself, too. If I can stream HD video through them, they’ll be fine for audio. No, Don’t tin the ends unless you are soldering the connections. Solder “cold flows”. If you put it under a screw connection it will loosen over time. After reading the article you linked to, it’s clear that there are people with more bucks than brains. I can afford AIX recordings from time to time, but I don’t count myself in that group. It really is getting beyond a joke, isn’t it? The bean counters strike again! If there were more people like you in the industry, we would be in a far better position…..we may even have recordings worth listening to. For “Ten-Five” there better be a swimsuit model and a beach house in the Bahamas that comes with that cable! I checked the Audio Quest web site and except for one small technical detail the article in The Register is accurate. The cable is Cat7 not Cat6. For those wondering about the cable length, a 0.75m cable is $694.75 and an 8m cable is $5494.75 (prices from Audio Advisor web site). For comparison, a 3 ft gold plated Cat7 cable is $6.98 on Amazon. I’m sure all these cables do a good job of meeting the Cat7 specification. If money is no object, then I say the well heeled audiophile has every right to purchase what he/she wants when he/she wants. And it’s really only that person’s decision as to whether it is money well spent. My long experience with analog cables suggests that there are indeed signal path improvements to be gained, but diminishing returns set in pretty fast after $150 bucks or so. Audioquest are one of the most established cable manufacturers and I think it’s fair to assume that if their products didn’t audition successfully that they would have been history long ago. As for high end digital cables, well that’s something I don’t have any experience of, but I think the above rules would also apply there. In mitigation, I never heard cables that made a bad system sound good, but they can make sense in getting out those last few drops of performance. I have lots of experience with digital cables…I’ve got hundreds of feet of it tracing though my studio. And it’s not the expensive stuff…it’s plain old 75 Ohm video cable. The people who peddle this sort of stuff decry those who challenge them as “scientists’. Assuming that engineering is a branch of science for this purpose, it’s as if those who design, build, operate and maintain the systems on which the whole thing is founded are neither qualified nor entitled to comment on its suitability for the playback of music. I also note that the chief proponents of the quality of digital cables are the same ones who refuse to participate in double blind testing. Unfortunately, too many people will part with hard earned cash for cables with the utility of a $5 patch chord. It’s criminal. I’d say they’re not scientists or engineers; pseudo scientist more likely. What annoys me is that some well respected electronic engineering companies who make hi-fi (cough#naim#cough), pander to this mentality when they know much better. And when you thought it couldn’t get more ridiculous, here’s Lavorgna’s ridiculous piece to defend the ridiculous cables. Sigh! I always find it interesting that the higher the price, the more reviewers perceive improvement. I consider myself an audiophile (really more of a music lover) but some of this stuff is insane. Reviewers unquestionably are prone to, how shall I say it, hyperbole. I seriously doubt that the generic SSD sounded anything close to limpid or lightweight. They may have thought is sounded a bit better but…. Actually, I believe a $10,000 cable has as least as much utility (enjoyment potential) as a $10,000 diamond ring; that is, until you get ready to sell it. The market for used cables tends to be somewhat less than the market for used diamonds. I have another question: what other information other than the 0’s and 1’s do digital cables deliver; is a time dependency also involved? If so, what is the effect of time inaccuracies on performance? The signals passing through a digital cable are all ones and zeros. There are data bits, check bits, sync bits, metadata bits etc. The digital words are peeled out as each digital word is ticked off by the clock bits. It depends on whether the signal is a bitstream or packeted. A bitstream such as through an S/PDIF cable could be subject to time “smearing” or jitter, which could have a negative impact on the sound if severe enough. However an Ethernet connection uses packeted data – it’s a two way connection, missed data is re-requested and re-sent; no such thing as jitter..
Bitstreams passed to a high quality DAC would be reclocked to minimize or remove jitter. From what I’ve read re-clocking only goes so far, and is more of a marketing thing for certain manufacturers; this is probably why asynchronous USB has taken off: the DAC’s own clock is used and the data pulled from the transport. Certainly the best digital audio I’ve ever heard has been by asynchronous USB using both my main DAC (Naim DAC V1) and my portable (Fiio X3). 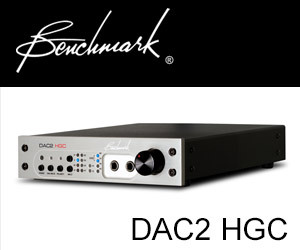 Re-clocking is a real thing and is standard procedure in high-end DACs. If the quality of sound is really important to you then you shouldn’t be streaming analog sound over big distances. You should be sending digital sound through. In that case – this would be as good as a $5 cable bought at a hardware store. It’s obvious to me that the non-believers have not given their cables then proper amount of break-in time. Below is a link to an audio blog I enjoy. He actually took some measurements of Ethernet cable in this article to see if an audible difference could be accounted for. Thanks Carlo…I’ve done similar tests with power chords and S/P DIF cables…no difference. All: I do not sell or promote Audioquest cables, nor do I know the prices. As I have said before, if hamsters running the wheel made the best sound, I’d be a hamster guy.I simply recounted an aural experience, and it seems like quite a few of you out there are simply denying the possibility of the experience I had. If any practice seems to lack valid basis, it would be in this denial.Telling someone they didn’t hear something…whoa. And never in any of these dialogues has anyone, and I mean anyone, supported the (idiotic) but strongly implied conclusion that tens of thousands of sensitive , intelligent, perceptive people have been repeatedly, deliberately fooling themselves for decades because they love wasting money and being hosed by immoral, charlatans called hi-fi dealers . Pardon me, but what a pile of crap that thought is. Get real, and tell me just how you scientifically “prove” this bassackwards assumption that appears to be a foundation concept for many correspondents here. It takes a great deal of enthusiasm to run a good hi-fi shop today. It seems that if some of you ‘bitter bobs’ had your way, stereo shops would cease to exist. Well, then you’d have to find something else that lots of people love to dump on, and I have faith that you would. I have no vested interest in the outcome of any sonic comparisons of the type involved. Craig, if you heard a difference in the sound of an AQ Ethernet “one directional” expensive cable over a regular CAT-6 cable, then you and the tens of thousands of others that are imagining a difference in the sound are in denial of the facts. The test…and I’ve done it with simply S/P DIF cables…is very simple. If the data stream coming out of both cables are identical (and they are), then the audio fidelity and sound will be identical. It’s a simple as that. I’m not talking about analog connections…just a digital stream from one component to another. This is scientific proof. It is incredibly frustrating reading some of the comments on here. There truly is a sucker born every minute. There are so many folks on here who will continue to argue that they hear a difference in digital interconnects, I can say with confidence they simply haven’t the slightest grasp on even the most fundamental basics of how these interconnects and/or components work. Aside from crappy quality digital connections dropping data and causing errors, digital cables CAN NOT effect the sound like an analog cable can. It is physically impossible. You can attribute whatever type of voodoo you want to what you are hearing, but I assure you it is all in your head. I would like to thank you though for inspiring me to get into the snake oil game myself. I never thought of myself as someone who would participate in unethical conman type of activities, however there is an old saying in sales; “you are getting a great deal, when you believe you are getting a great deal,.” If there are this many people willing to pay 10x-100x the amount for the ten cent Chinese products with slight cosmetic tweaks, merely because of effective marketing….. I am wasting my time grinding out a living the honest way. Our new cables are going to be directional AND specifically tailored to sound best based on your shoe size and zodiac sign.